As you may have heard, Marriott is finally winding down its long merger process with Starwood, and has unveiled its new “Bonvoy” program. 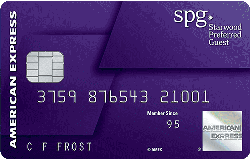 Today is THE LAST day that the Starwood Preferred Guest card will be available for new applications. 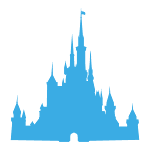 We have seen these points decline significantly in value over the last year, but for our readers planning a trip to the Disney Swan/Dolphin, this card remains a very helpful asset to have in your arsenal. If you’ve been planning to open this card, here is your last chance. Click here to check out the card before it disappears. Remember, you can only open this card if you haven’t had a Marriott personal card within the last 30 days. Also, for a quick primer on the new Marriott program and cards you can check out this solid FAQ from TPG. I have this card and have not used it yet. I’m curious, will I still get points for paying my mortgage and utilities with this card. Brad or Laura do you know? Also, if i put purchases on this card and pay them on the same day, or the next day to keep the balance at $0, will I still receive points? These credit cards are about to start turning into a nightmare because the temptation to pay only the minimum balance is strong. Hey Justin, spend counts toward the minimum spend requirement as long as it’s a purchase and not a “cash advance.” Nothing wrong with paying off your balance before you are charged interest…that’s just being responsible! We highly recommend that people do NOT accrue interest.